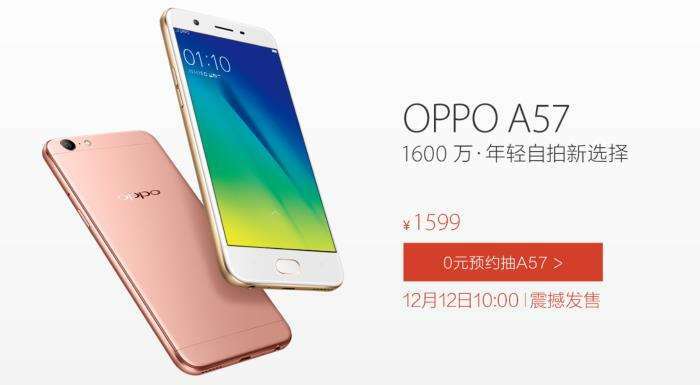 Oppo introduced the budget-friendly Oppo A57 made its debut last November, and was initially available in China only. If you’re based in India and want to purchase the handset, there’s some good news for you. Oppo A57 is up for grabs in India. The handset is available from Amazon, Flipkart and Snapdeal carrying a costs INR 14,990 ($220). Additionally, customers can purchase it through various offline retail channels as well. The device comes with a 5.2-inch LCD screen with 2.5D curved glass and a 720p resolution and a Snapdragon 435 processor under the hood clocked at 1.4GHz. There’s 3GB of RAM, 32GB of internal storage and a microSD card slot which supports up to 128GB of expandable memory. The all-new Oppo A57 also features a 16MP rear-facing camera with an f/2.2 aperture as well as a 13MP front-facing camera, a 2,900 mAh battery and ships with Color OS based on Android 6.0 Marshmallow as its operating system out of the box.